Ramesh Kumar Kokal has joined the group on a Bhaskara Advanced Solar Energy (BASE) Internship supported by the Government of India and Indo-U.S. Science and Technology Forum. 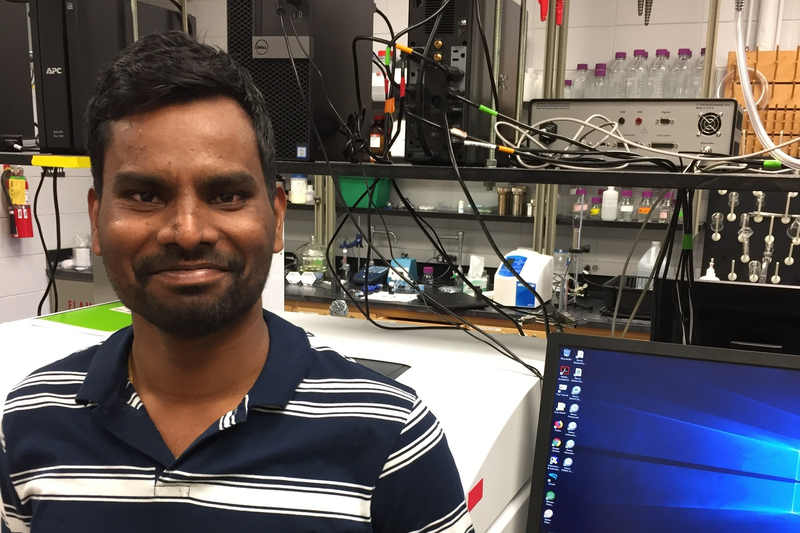 Ramesh is currently a 4th year graduate student at the Indian Institute of Technology in Hyderabad, India in the group of Prof. M. Deepa. He will join our group from April – September 2018 and work on photoelectrochemistry of quantum dot solar cells. Welcome Ramesh!